Windows Phone 7 Jailbreaking Progress? "Just weeks after the launch of Windows Phone 7 around the world, the inevitable attempts to jailbreak the operating system is yielding some interesting results. Today, Australian developer Chris Walshie was successfully able to prove a method to run "native" unmanaged code on a retail Windows Phone 7 device." A jailbroken phone offers the potential to unleash wild new capabilities for your smartphone, although there are legal and support issues to consider. Nevertheless, many users are waiting patiently for progress reports such as this one on I Started Something's blog. The blog article unveils the clues that led to unlocking some of the platform's restricted potential, and it seems we will only be days from additional breaches being reported. 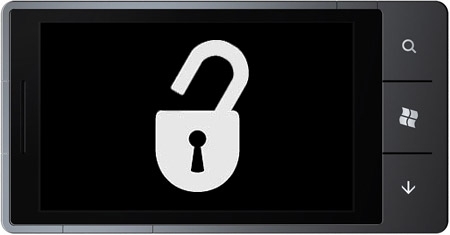 Contrary to many other here I have no doubt that WP7 will be jailbroken soon;' maybe even before the end of the year. I just don't understand why? The phone works and you have Silverlight. What else could you want? P.S. I bet if they do that all Jailbroken phones will get banned on Xbox Live and Zune marketplace. Xbox probably, I do not know because I never used consoles; I play on the PC. Zune I do not think so: it is a source of reveue for MS. The copyright office recently issued an exception to the DMCA (Digital Millennium Copyright Act) that makes jailbreaking a phone %100 legal. Before this, jailbreaking was technically illegal since it involved circumventing the manufacturer's protections built in to the software. The DMCA made the act of circumventing these protections (even for legal purposes) an illegal act. In the past a jailbreaker could potentially face criminal charges for circumventing the software protections built into the handset, I have not heard of any manufacturer pressing charges but it was a possibility. The recent excemption insures that there are no legal risks to jailbreaking your phone. Maunfacturers do not have to provide support and can still void your warranties if you jailbreak.